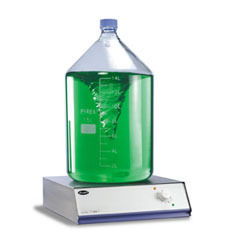 Large and powerful stirrer for use with vessels up to 30 litre capacity. Powerful magnetic drive with electronic feed-back speed control which accurately maintains the set speed. Supplied complete with 1 x 100mm PTFE coated stir bar.